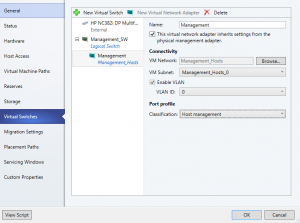 A while ago i wrote an article about how to configure a converged network fabric with Windows Server 2012 R2 and Powershell. Now it’s time to see how can we do all these configuration from Virtual Machine Manager 2012 R2. First of all you should check what Logical Networks, VM Networks, Port Profiles and Logical Switches are and how they can be used. 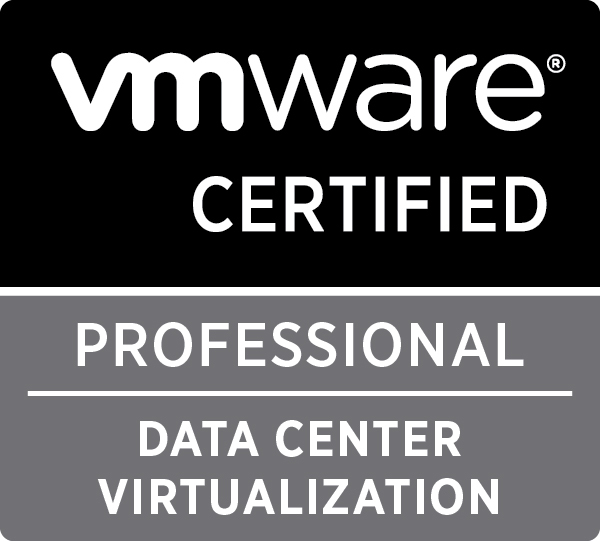 You can find some useful links about all these terms here. I’ll go step by step through everything that needs to be created and configured. 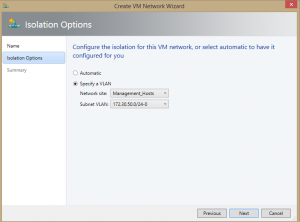 All the networking configuration in VMM is done from the Fabric menu. 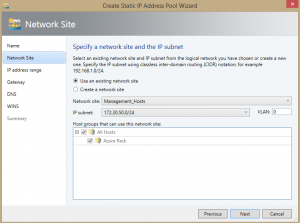 The first step in creating a converged network is to create the Logical Networks and IP Pools that we need. 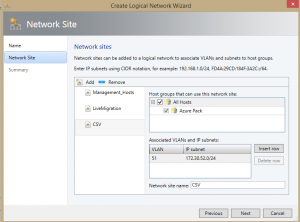 I’ve created one Logical Network for the Infrastructure ( Management network, Live Migration network and CSV network) and a different one for the tenants. Of course you can create Logical Networks for each kind of traffic, but that’s a matter of choice and it’s beyond the scope of this article . 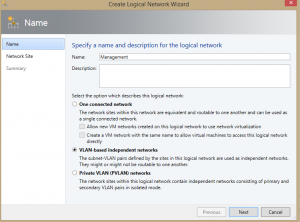 We’ll create a VLAN based independent Logical Network, called Management and after that we’ll need to create the Network Sites and scope them to the Hosts that will use these networks. 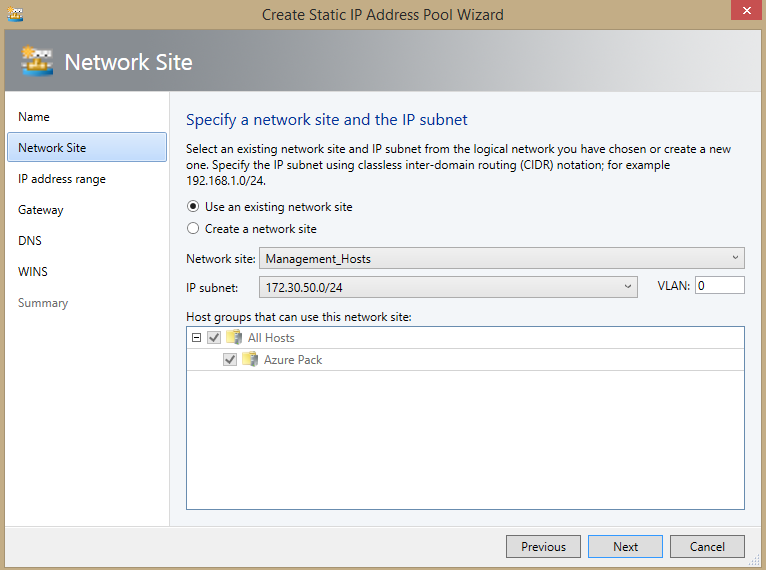 One network site with an IP subnet and VLAN for each network (Management, Live Migration , Cluster) will have to be created. 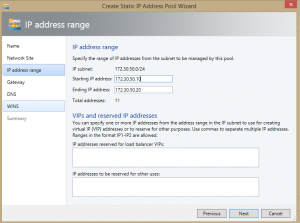 When we are finished with creating the Logical Network and Network Sites we go further with the creation of the IP Pools for each of the Network Site. 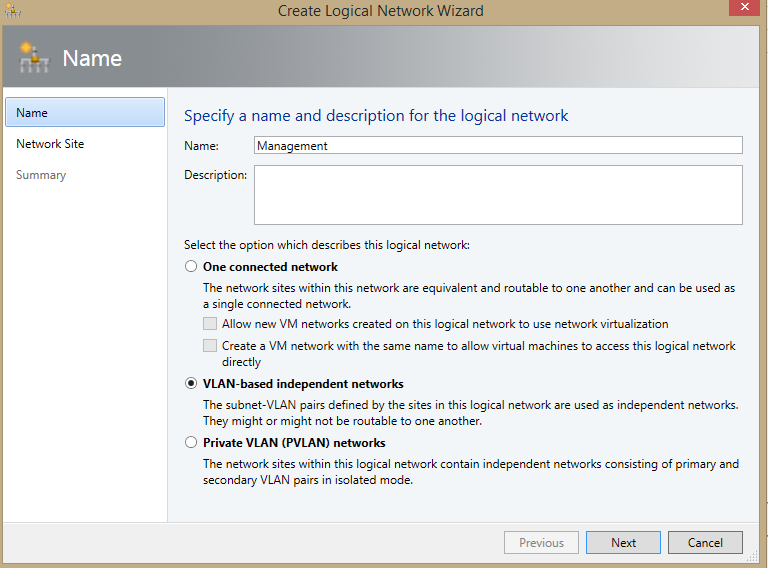 After the IP Pools are created the Logical Network in VMM should look like this. 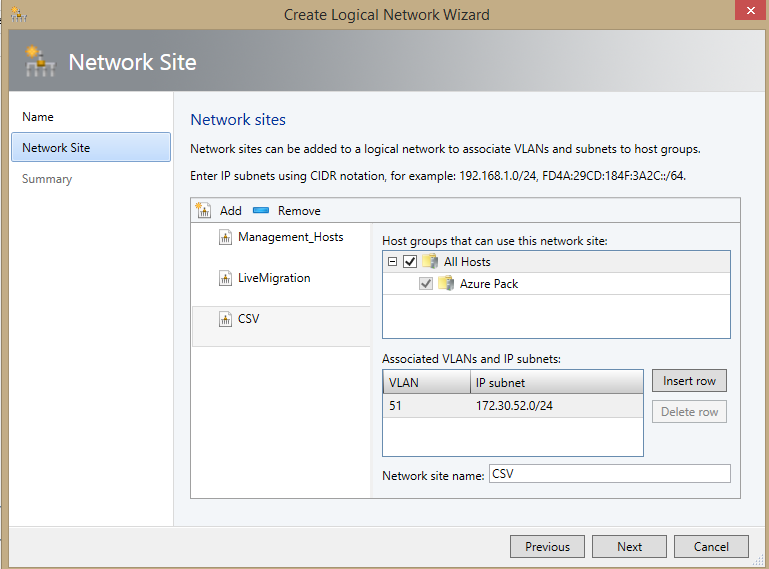 Next step is to create a VM Network for each Network site that we have. 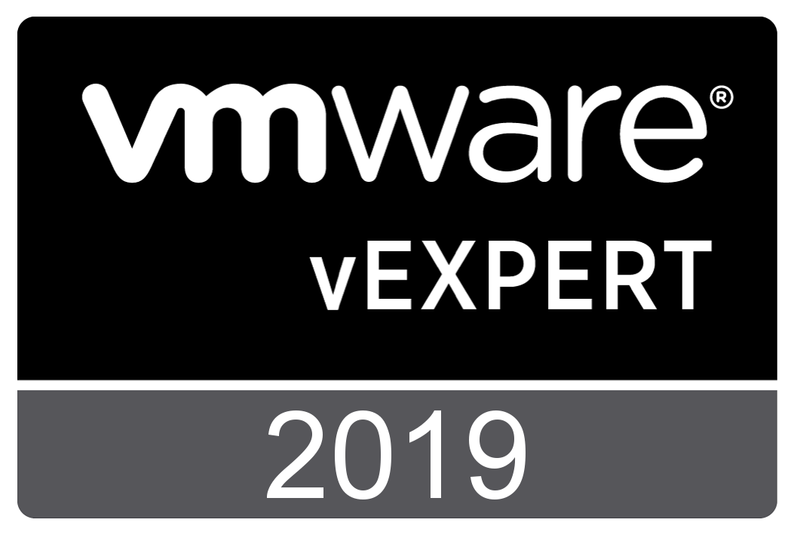 VM Networks are the only way that we can provide network connectivity to a virtual machine and are also used by the Logical Switch to create vNics. You have to repeat this step for each Network Site that you have. 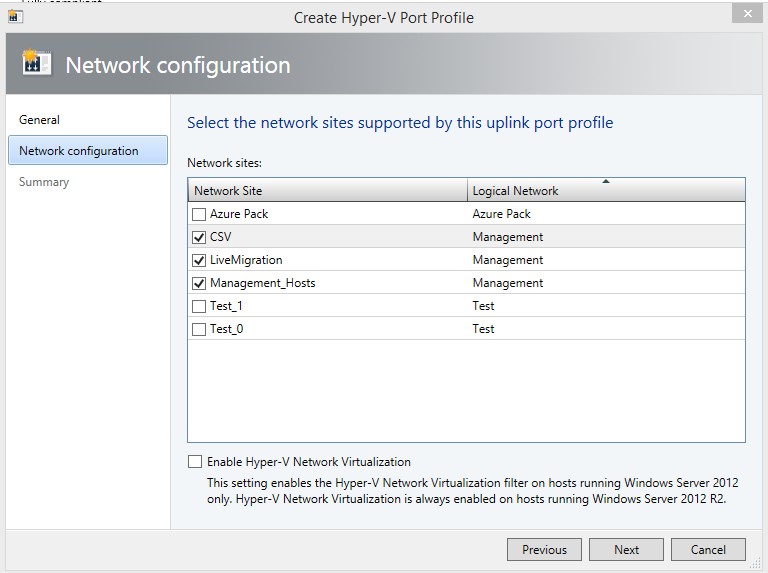 Now we need to create the Uplink Port Profiles and the Virtual Port Profiles. 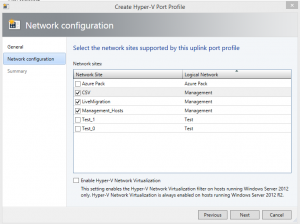 Uplink Port Profiles apply to the physical adapters of the Hyper-V hosts and when you create it you can choose the load balancing algorithm and also the teaming mode. 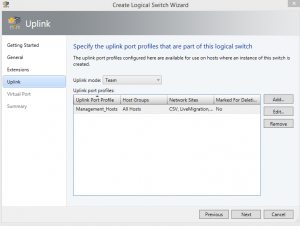 After that we have to select the Network sites that will be supported by the Uplink Port Profile, in our case Management_Hosts, Live Migration and CSV. 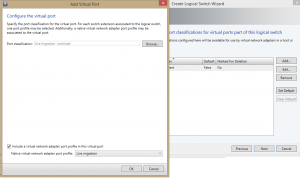 System Center provides a list of Virtual Port Profiles with preconfigured settings for each network type that will be needed for the virtual NICs. 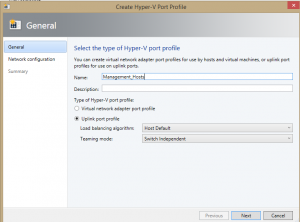 You still have the option to create a new Port Profile if you want or you can change the settings of the current Port Profiles that are provided. 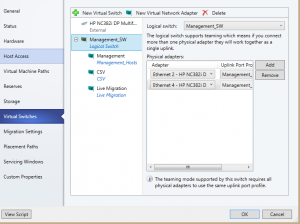 When all these components are configured (logical network, network sites, vm network, port profile) we can continue with the creation of the Logical Switch. 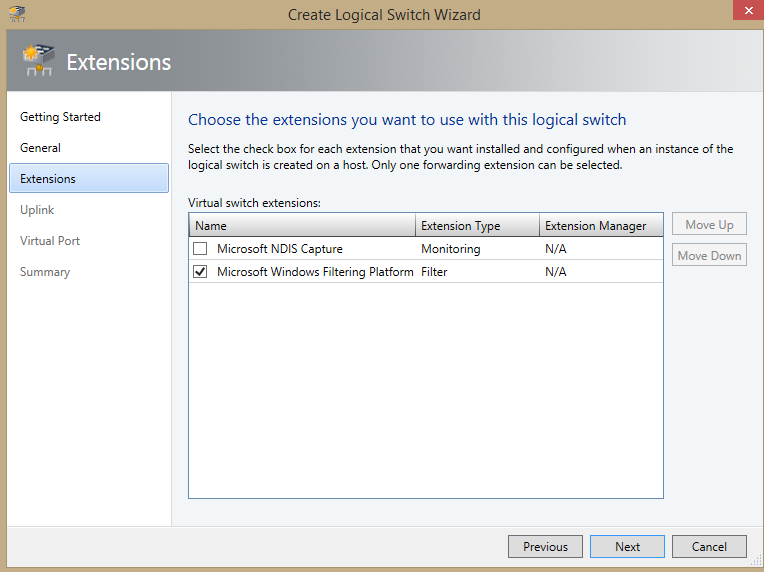 When you create the logical switch you have the option to choose if you want to use any extension that can capture, filter or forward the traffic. Next you have to add an Uplink Port Profile which represents the capabilities that will be made available to the host that logical switch is assign. In the end we have to configure Virtual Port which will be available as vNICs on the Hyper-V hosts. We’ll need 3 port profiles together with the port classification. 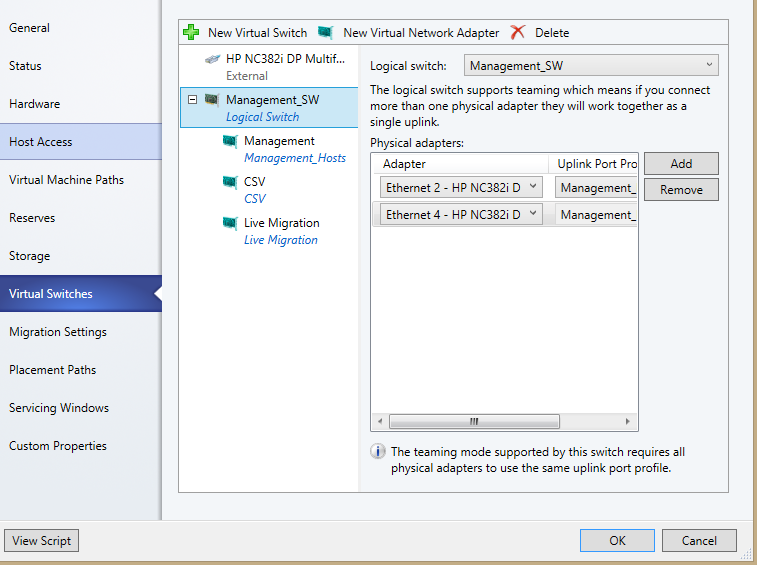 Now we have to configure the Logical Switch on the Hyper-V host. 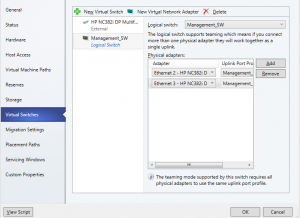 Go on your Hyper-V host, open properties and go to Virtual Switches. 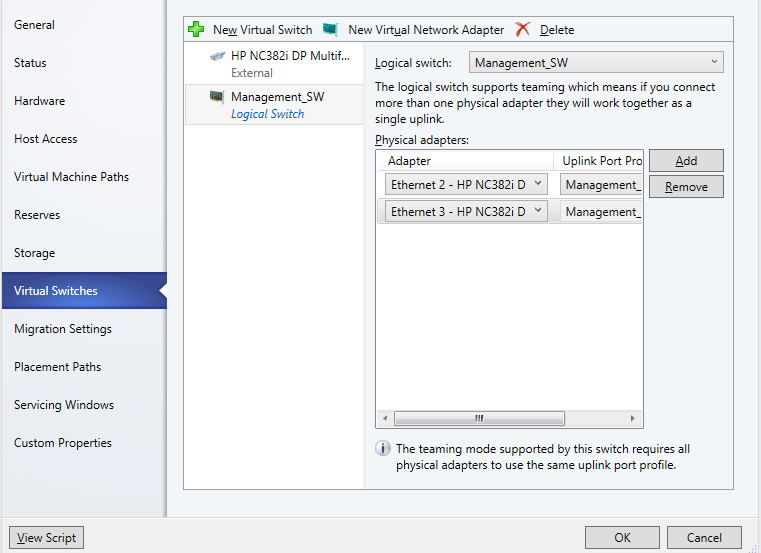 From there select New Virtual Switch and make sure you add the Logical Switch that you just configured with the right Uplink Port Profile. 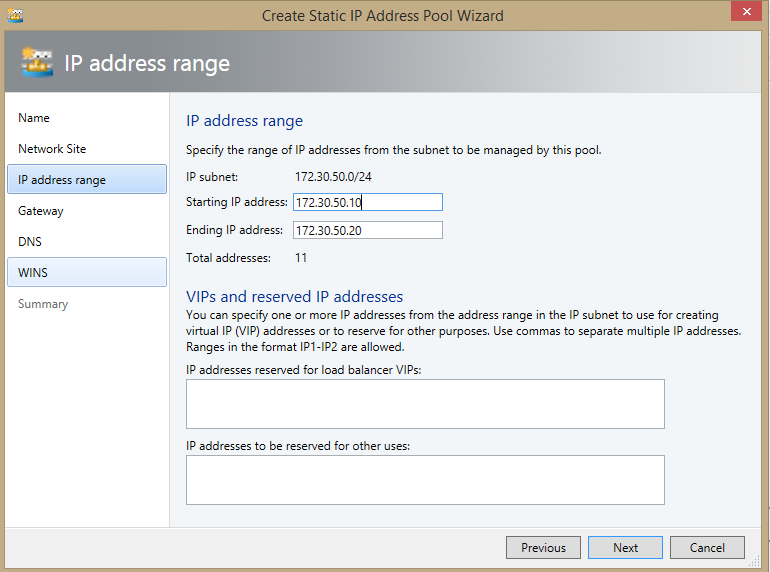 Next click on New Virtual Network adapter to add a new vNIC. First we’ll add the Management network adapter and make sure that the checkbox for ” This virtual network adapter inherits settings from the physical management adapter” is checked. 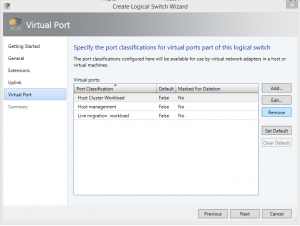 On the port classification make sure you choose the Host Management. You’ll have to repeat this step for the Live Migration and CSV virtual network adapter. Thank you. Is there any specific topic that you are interested in?